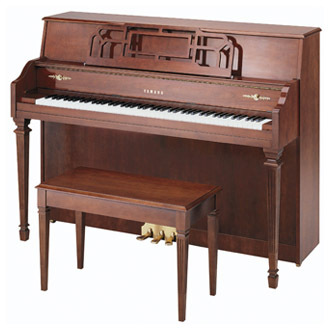 Yamaha designed these elegant instruments in popular American furniture styles and tailored them with high quality hand-rubbed finishes. Each one is carefully crafted with proven materials, components and precision manufacturing to the premium standards that have defined Yamaha pianos for more than a century. This combination of beauty, craftsmanship and price represents pure value.